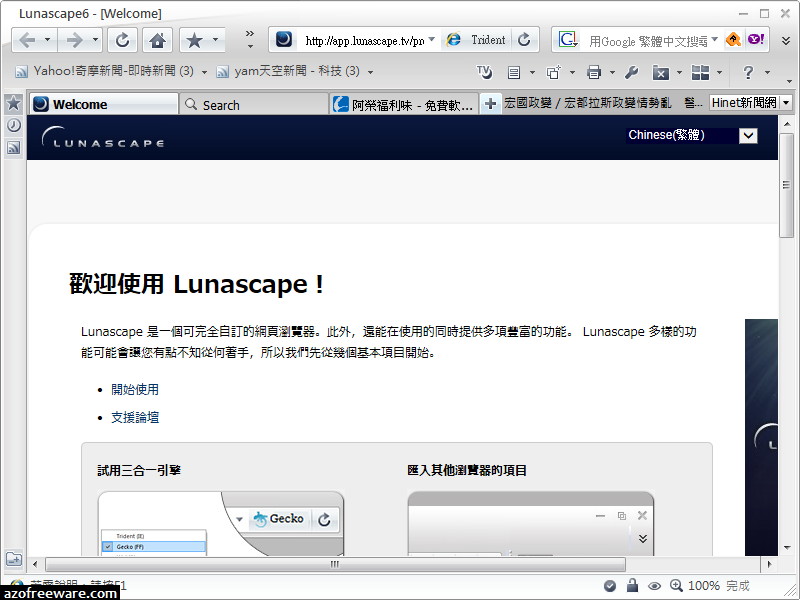 Lunascape Portable - the three most popular rendering engines (Trident, Gecko, WebKit) have been integrated in a single browser. By clicking the smart engine-switch button next to the address bar, it is very simple to switch rendering engine for any page, until you find the engine most suitable for displaying the page contents. Sites designed exclusively for Trident (e.g., bank sites) can be registered in the Auto-Engine-Switch list, so that even if the default engine is Gecko, opening the Trident page automatically switches the rendering engine for that tab to Trident.